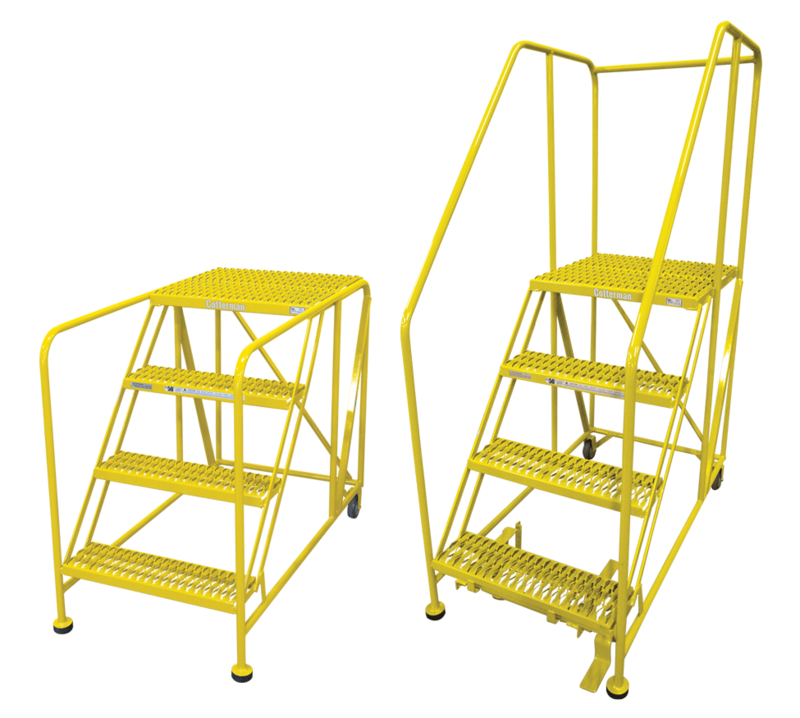 SERIES WP Work Platforms have a higher load capacity and larger platform for two people, plus tools. 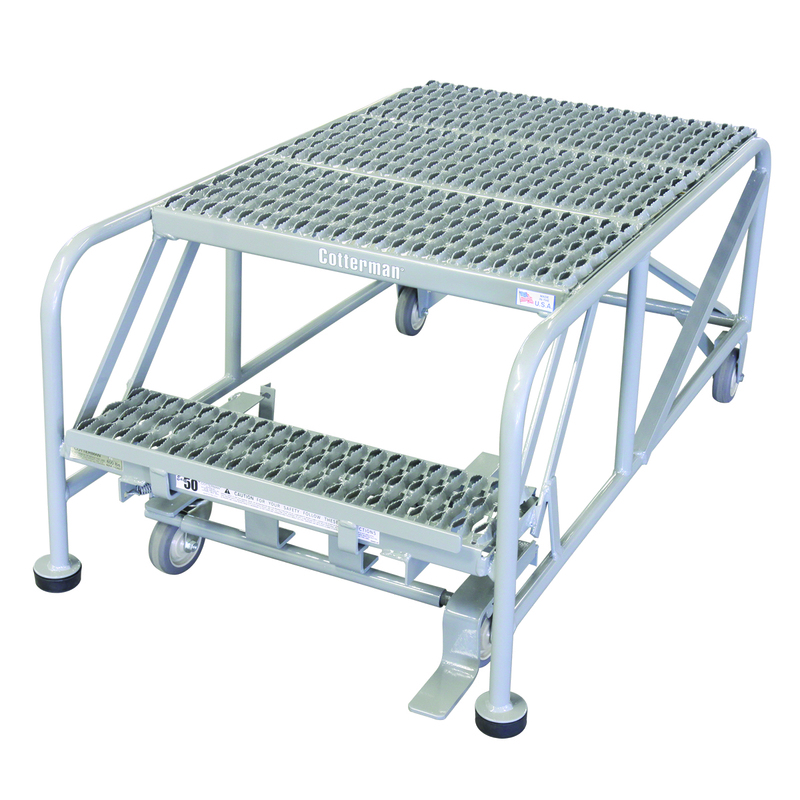 Rests on two 2-1/2″ rubber pads. 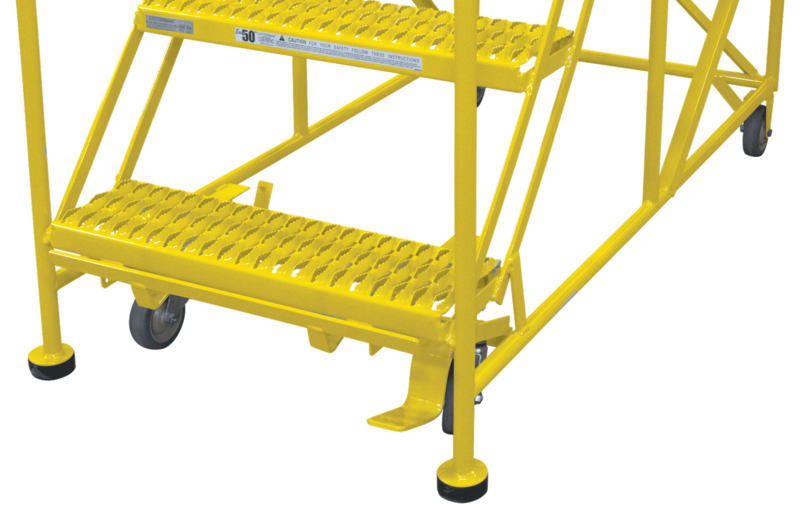 Two 4″ rigid heavy duty casters on the rear are standard. 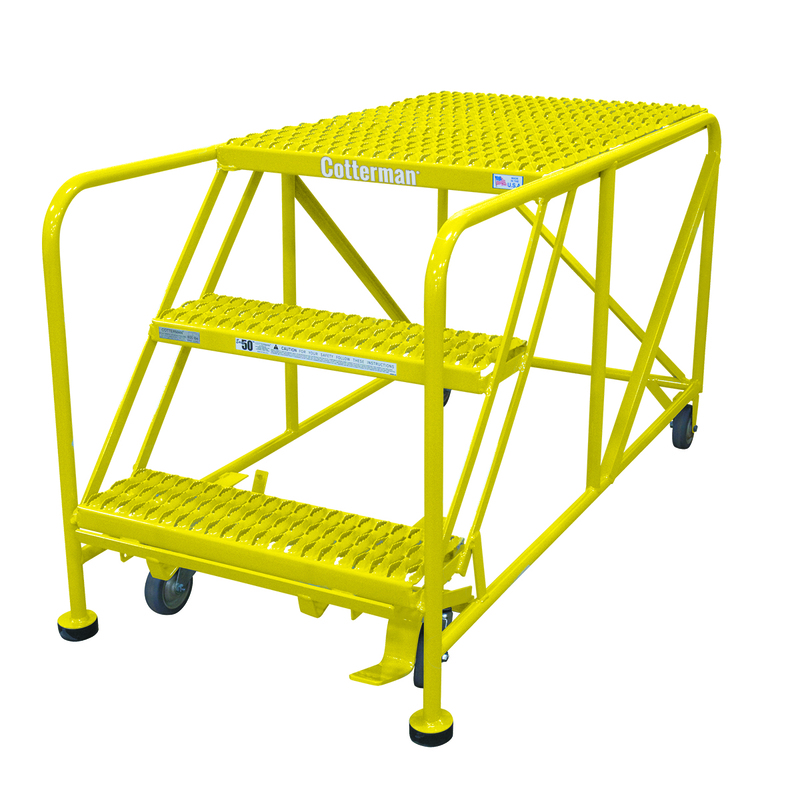 The optional Cotterman® SafeLock on the step side provides greater mobility. 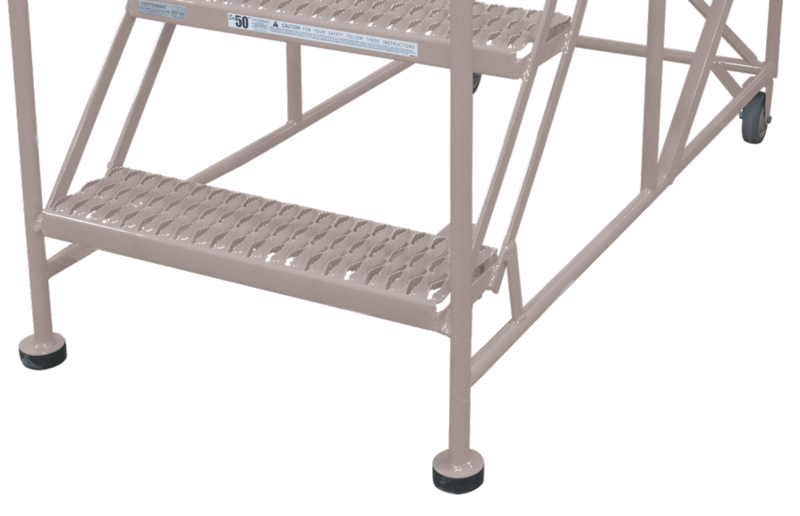 36″ high handrails with midrail are standard on 5 thru 7 step models. 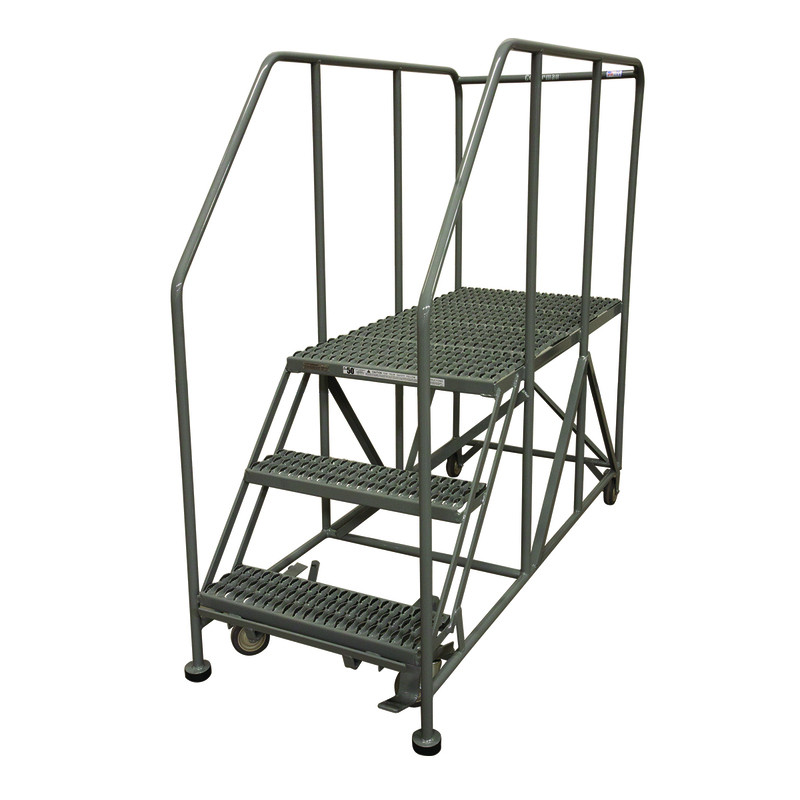 30″ handrails optional on 2 thru 4 step models. 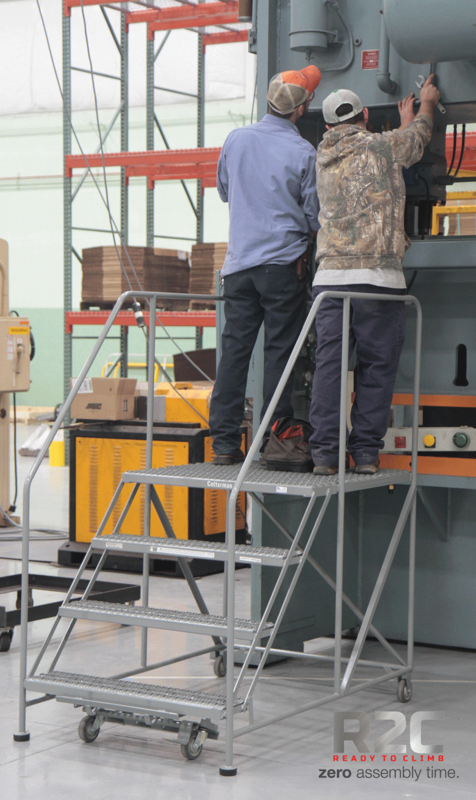 Work Platforms meet applicable OSHA and ANSI standards. 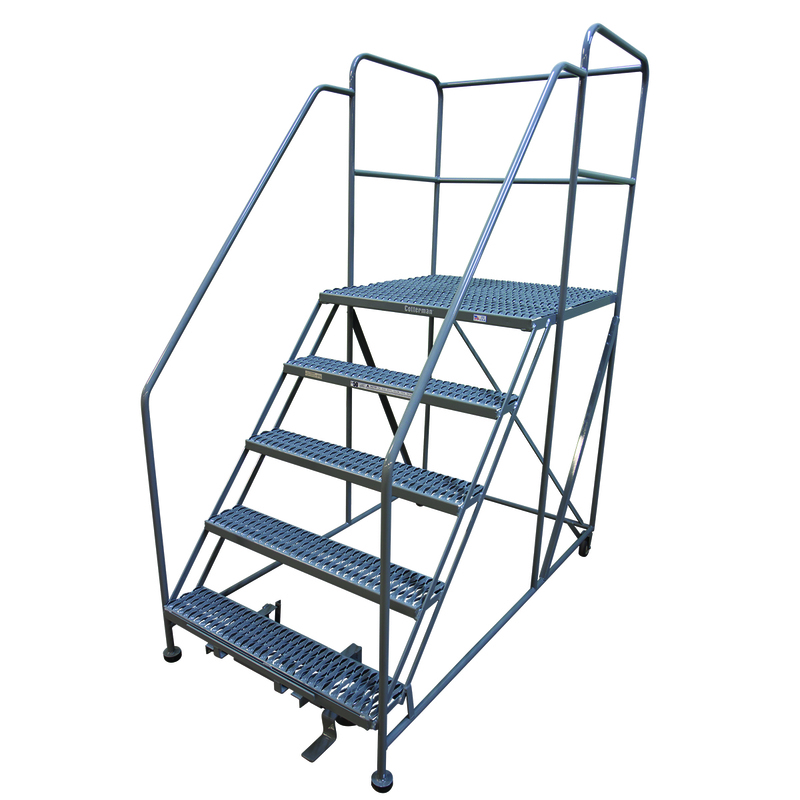 2-4 step Work Platforms available with and without handrails. 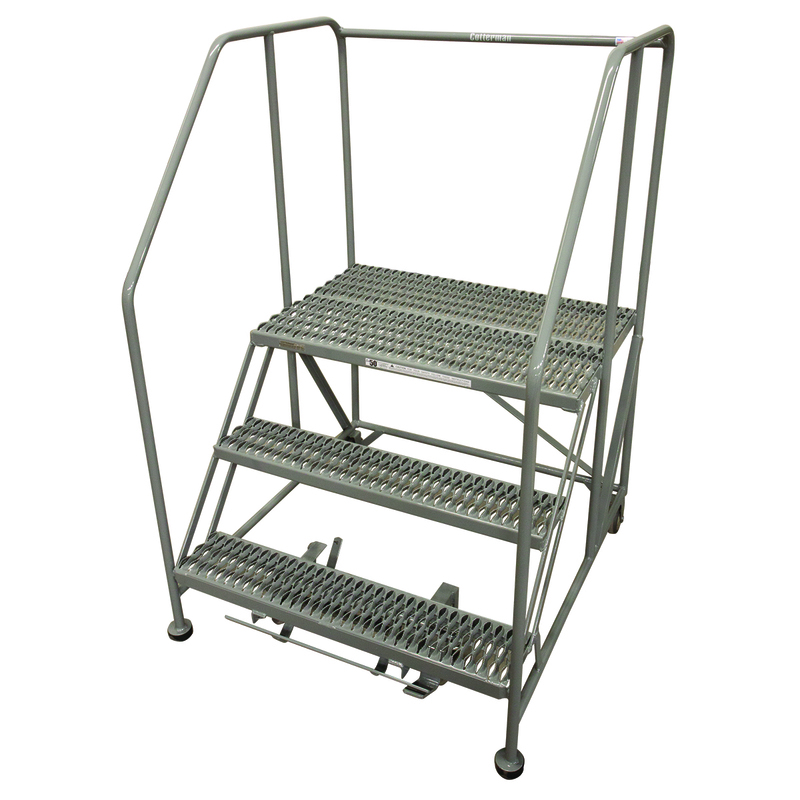 30″ Handrails available on 2-4 step Work Platforms. 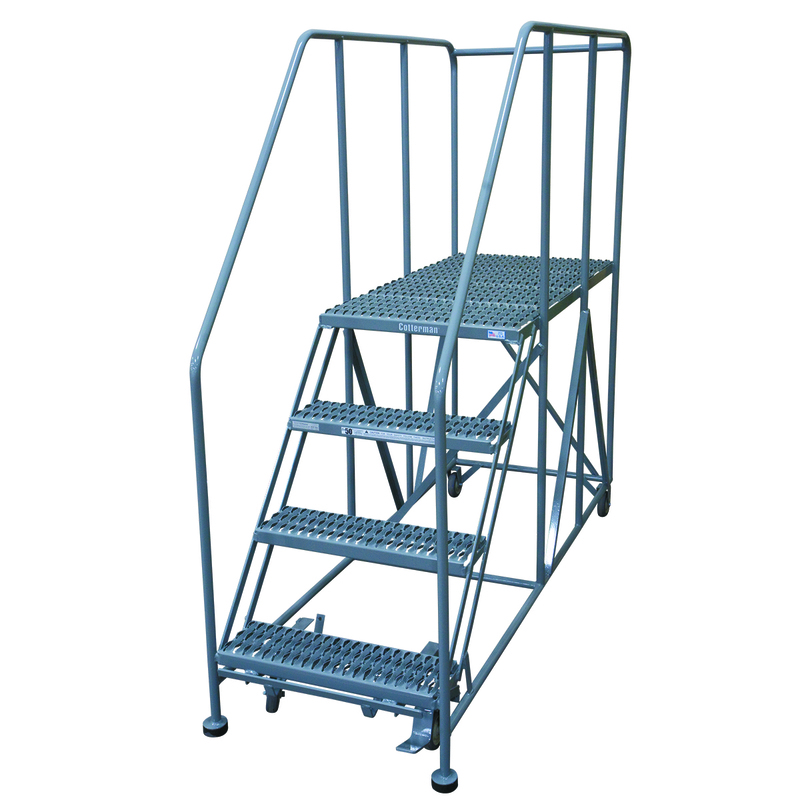 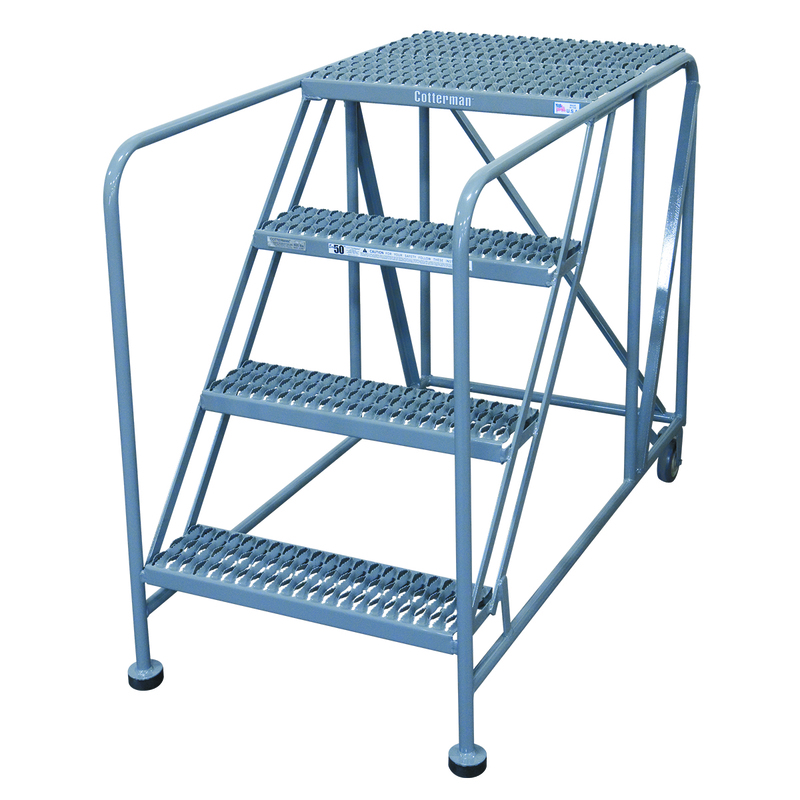 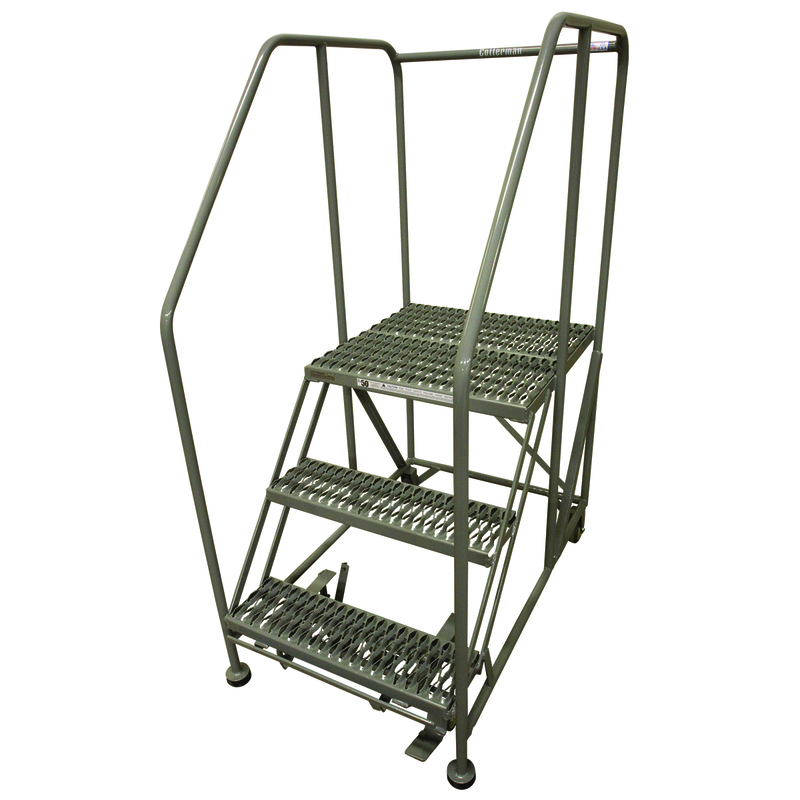 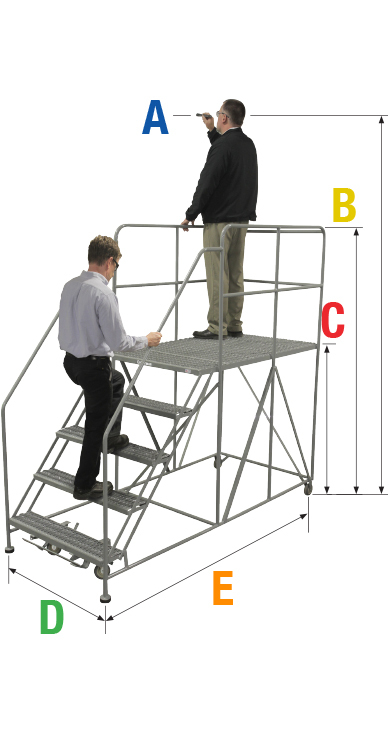 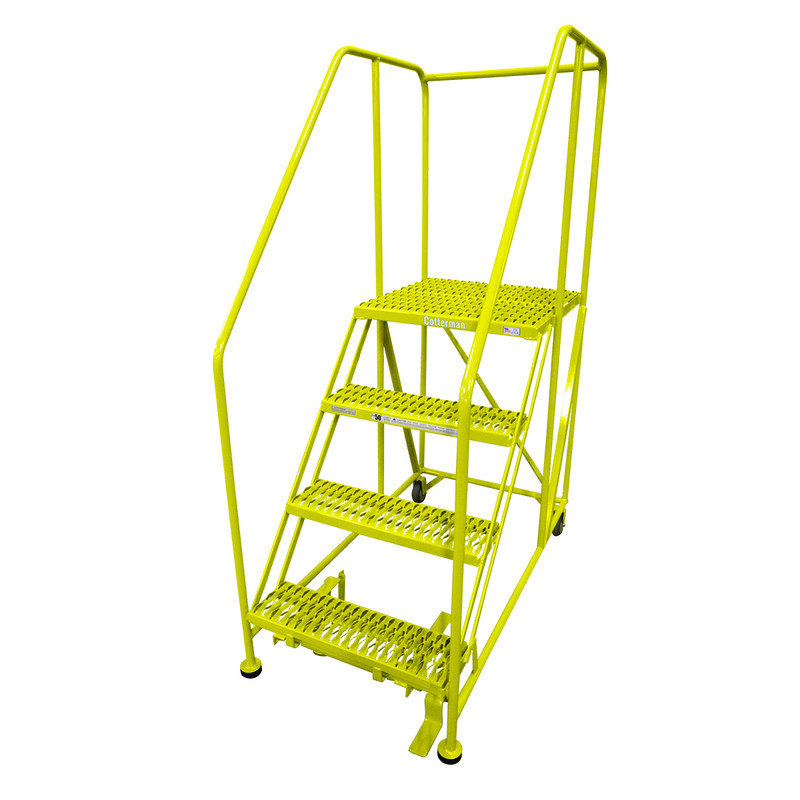 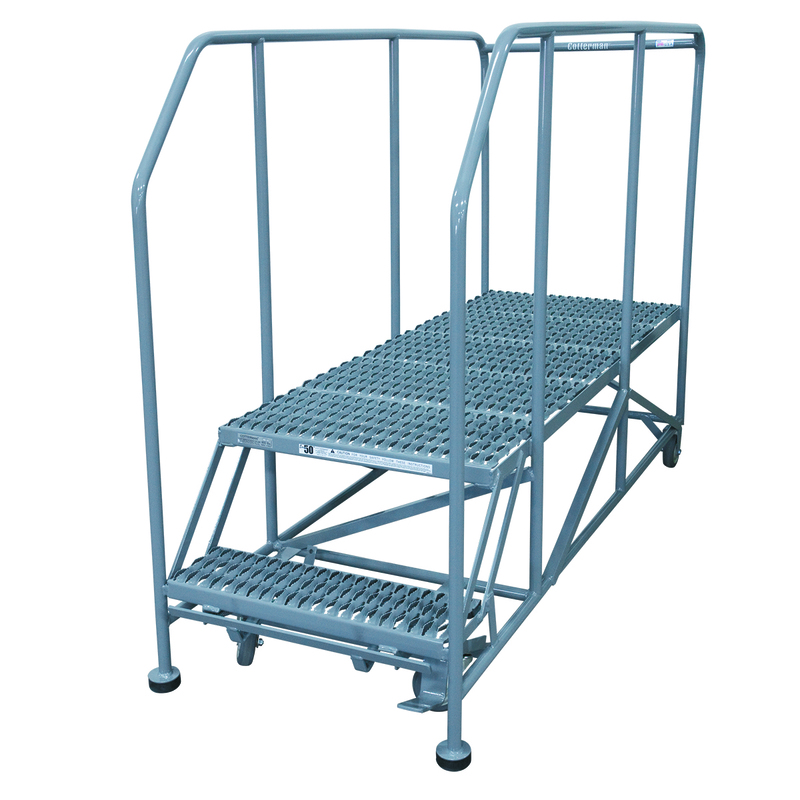 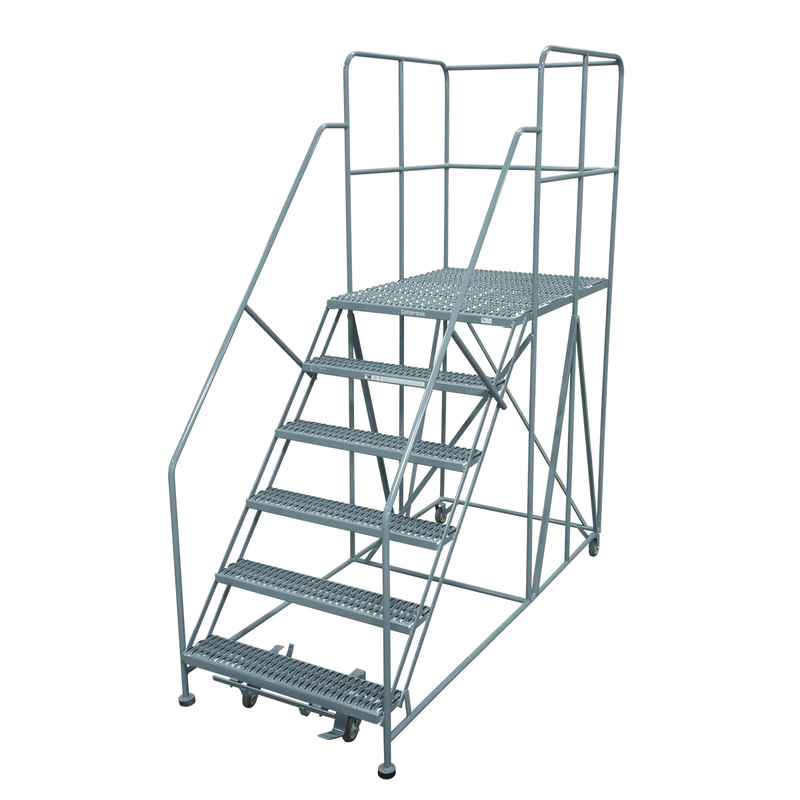 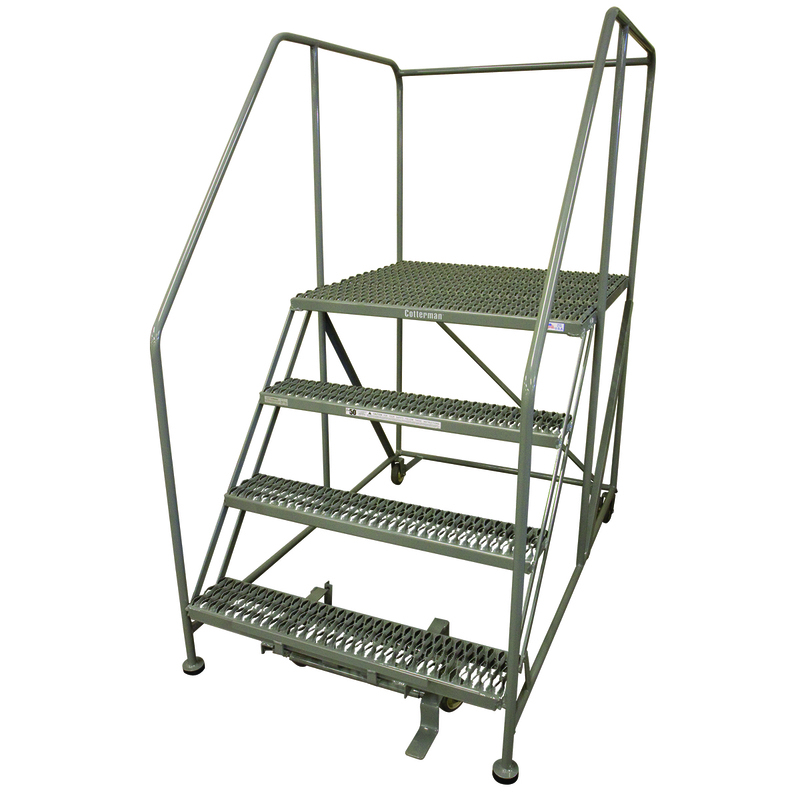 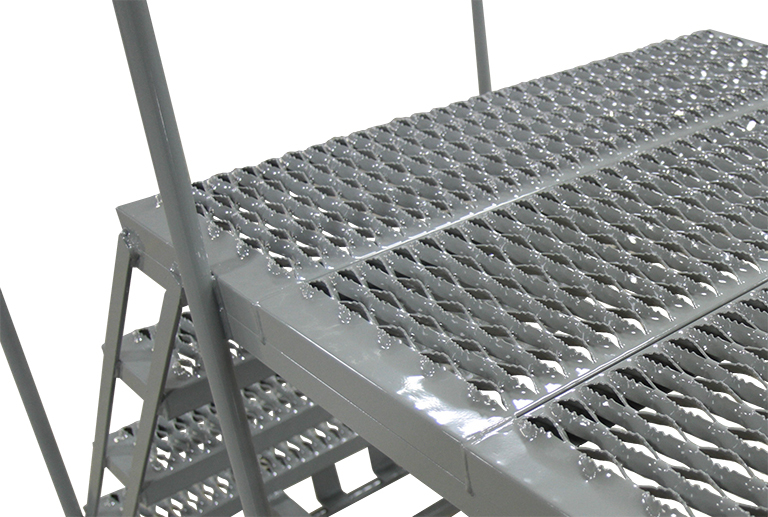 5-7 step Work Platforms come standard with 36″ handrails. 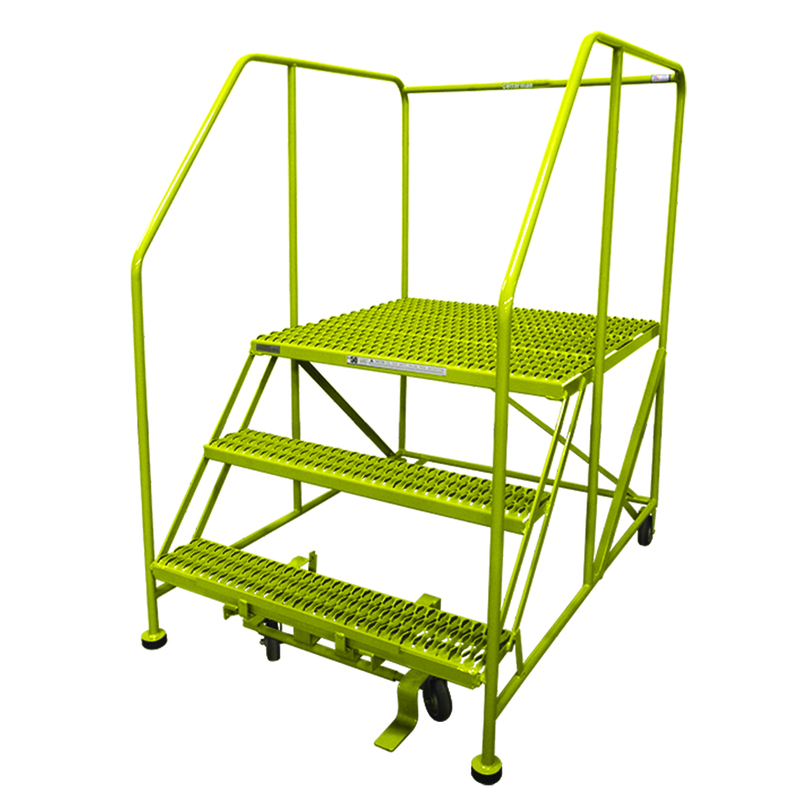 4″ wheels allow for easy transport of the Work Platform. 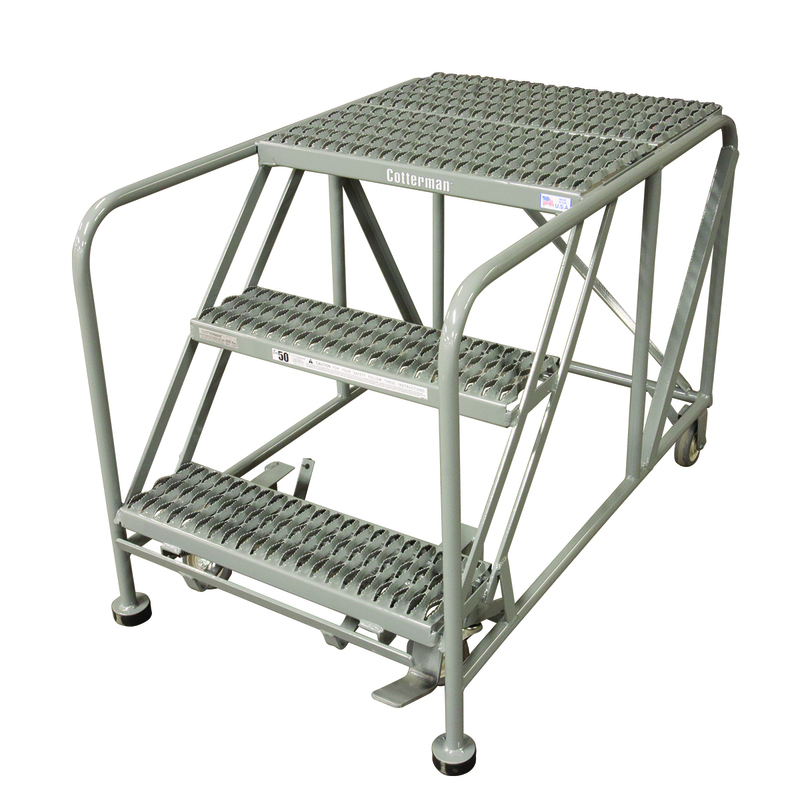 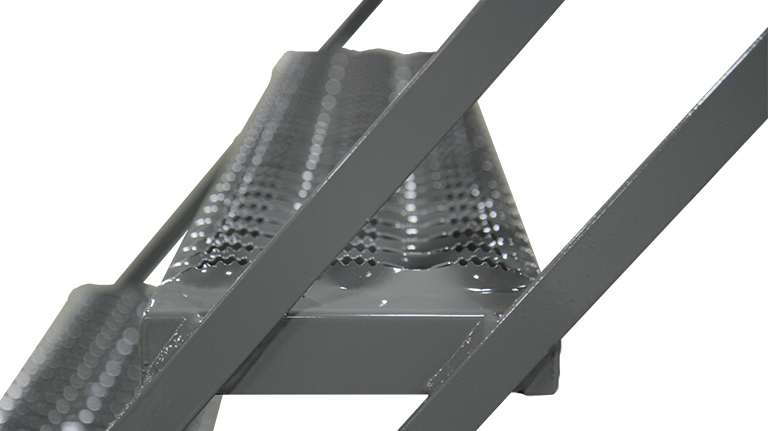 While 2.5″ Rubber pads on the front legs assure a secure footing while in use.